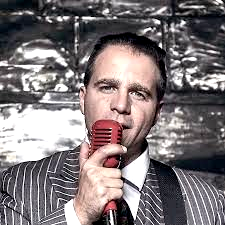 Wednesday Night Live Jerrod Medulla - Texas Roots in a Pinstripped Suit - or not? With the August weather we’re having, we’re really not sure whether Jerrod will show up in the classic pinstriped suit, but we’re sure he’ll bring music worth hearing. Jerrod Medulla was classic to Texas/Americana long before he started doing his shows in suits. His “Unbroken Horses” song, written by Dean Dillon, just came off the number 1 spot on the music charts the first week or so in August. That being said, it wasn’t the first really great work coming from Medulla. For us it goes all the way back to his acoustic sounding cover of the Springsteen song “I’m On Fire.” We couldn’t get enough of that one, then along comes his 2012 release “Stay the Night” and the list goes on, all the way to his latest chart-topping “Unbroken Horses” song. Medulla’s raspy- voiced music is smooth easy listening, with an edge. We think You will enjoy a WNL evening at Toupsie’s with Jerrod Medulla on stage.